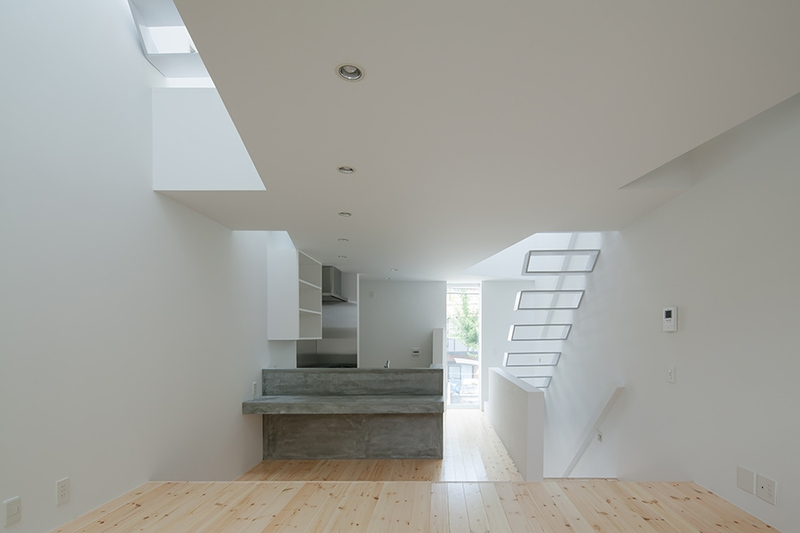 The house is designed for 4 members of a family with two kids. 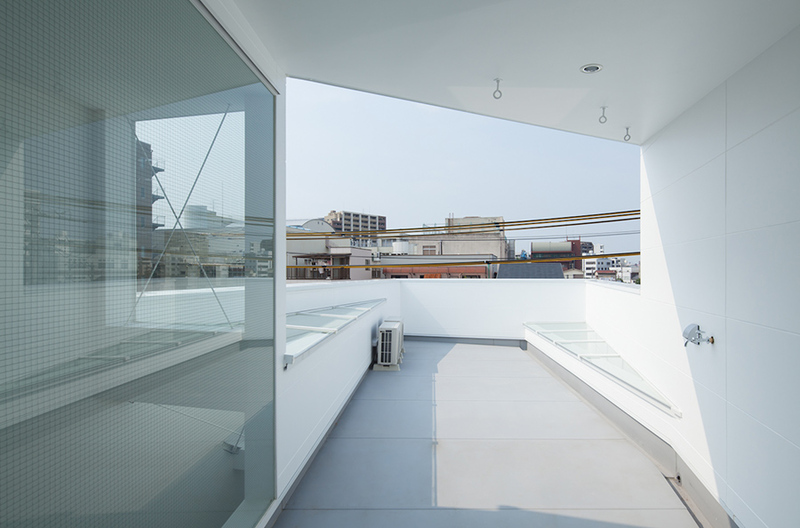 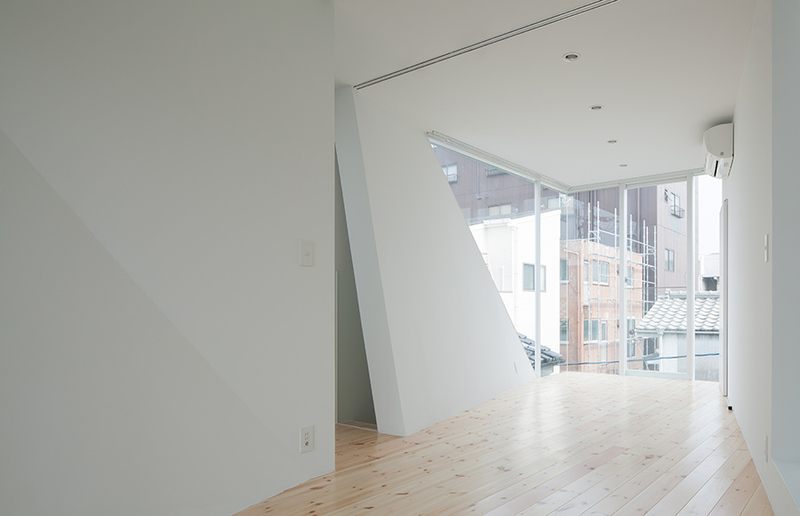 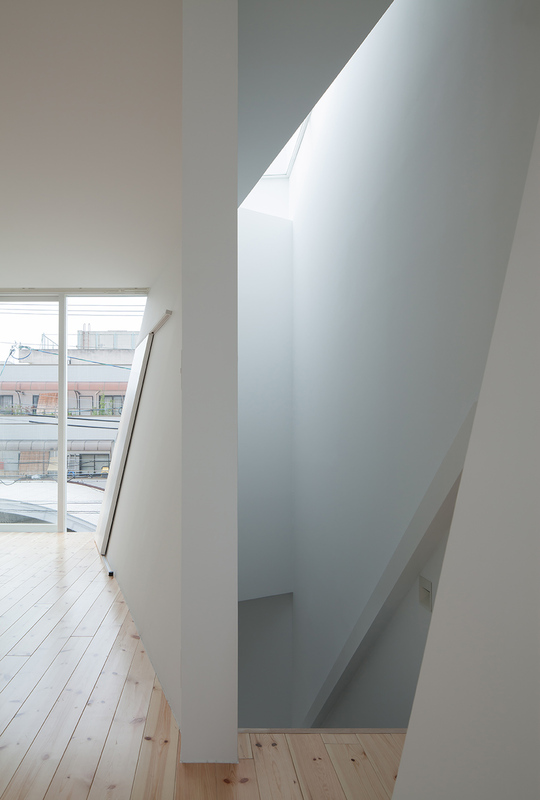 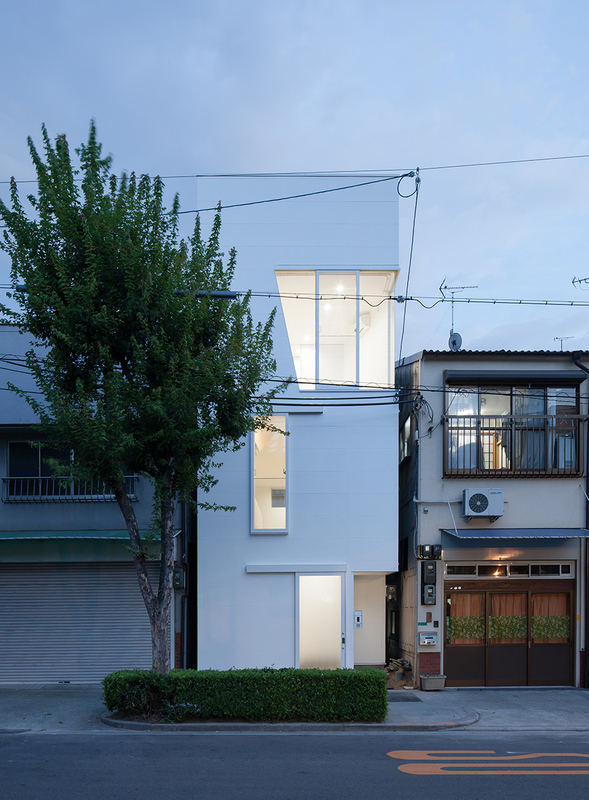 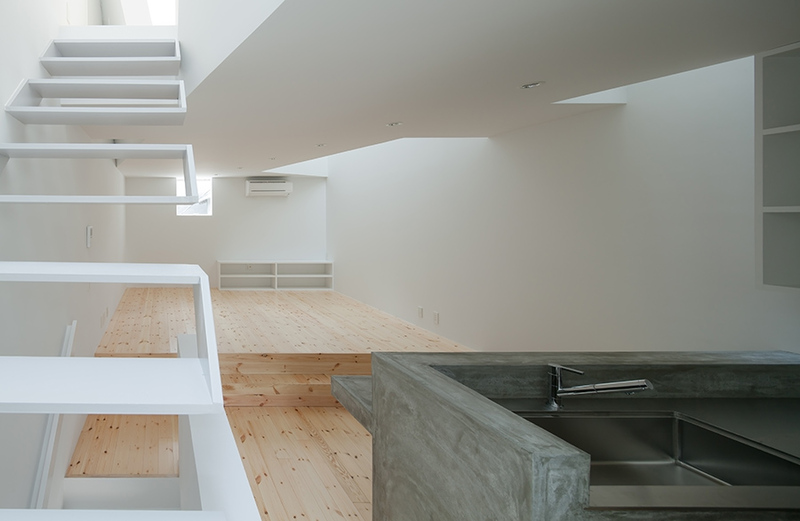 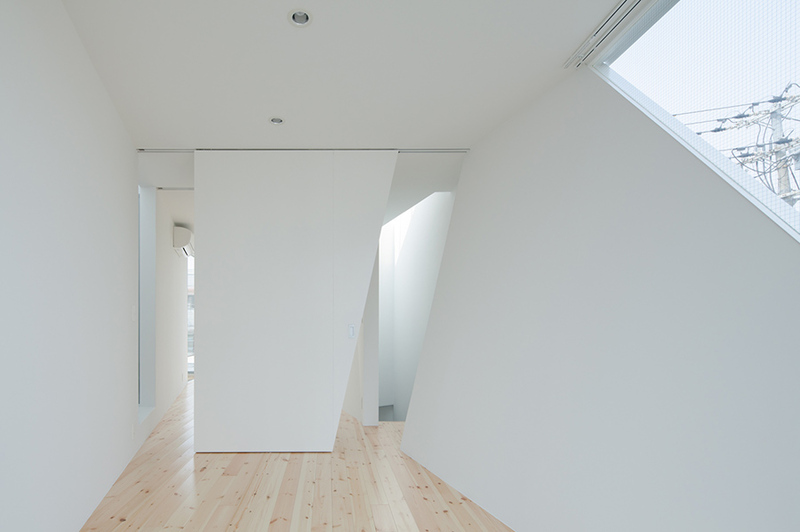 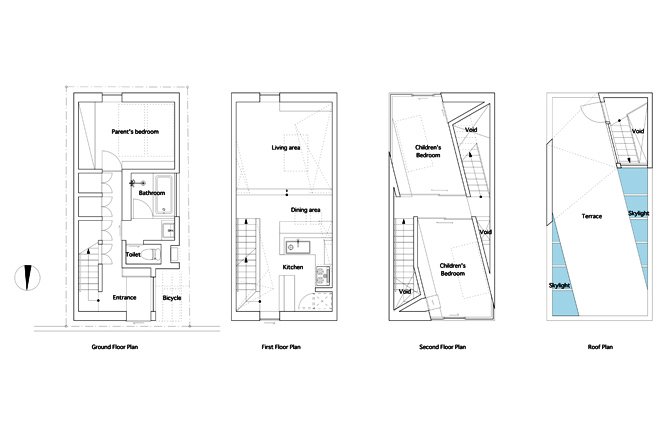 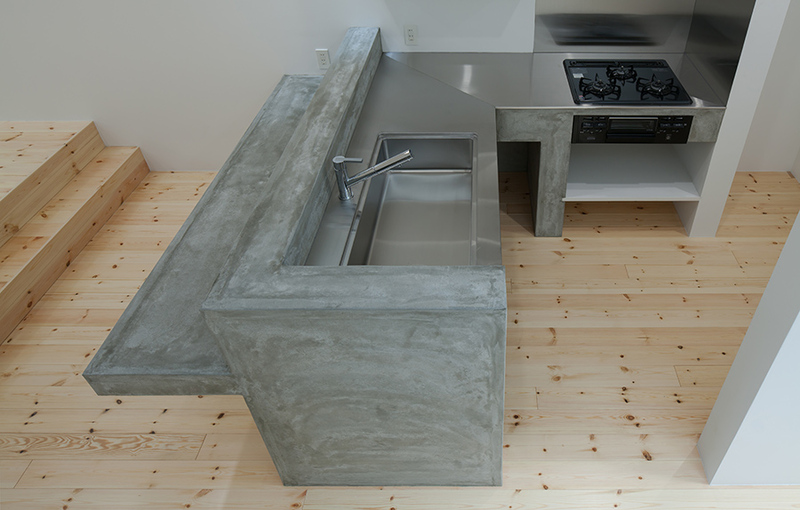 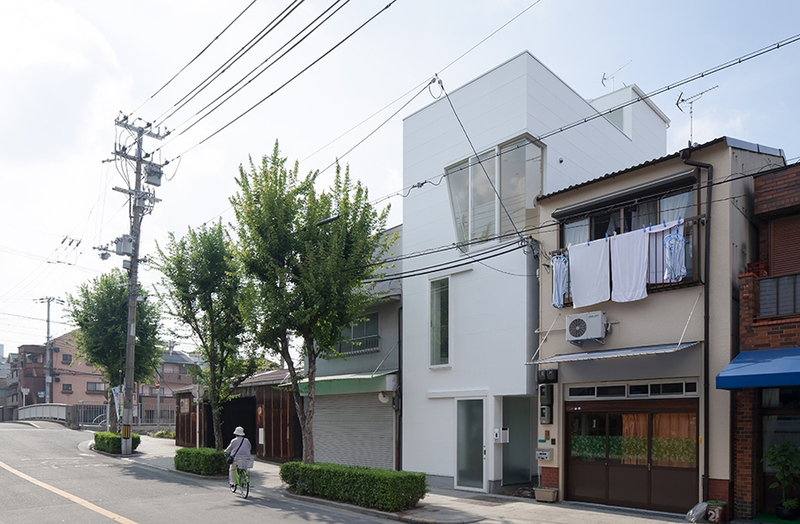 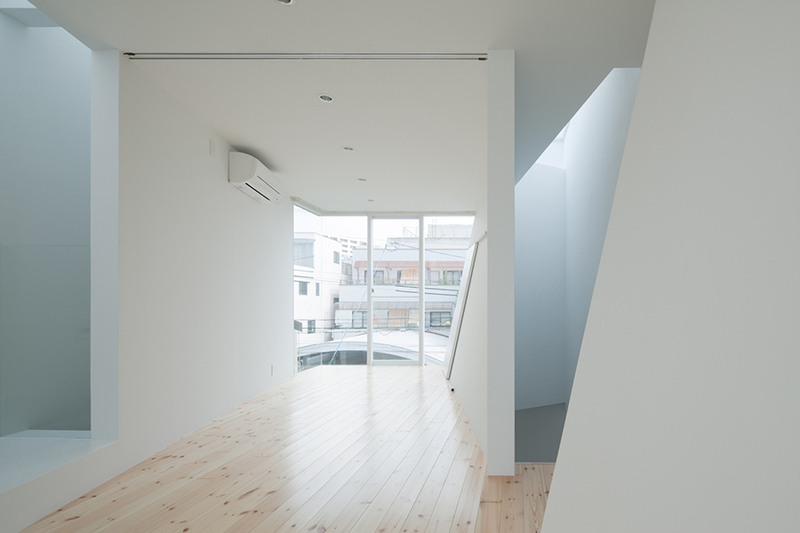 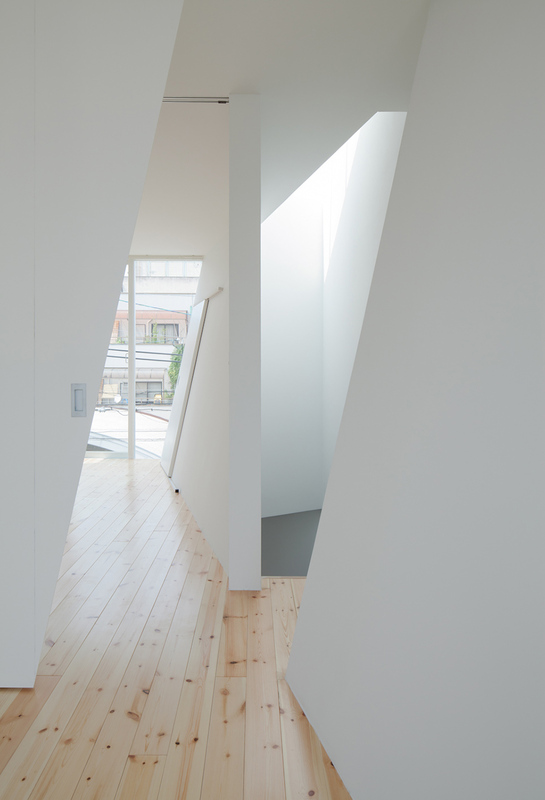 The house is placed at urban district and a small plot of only 43.21sqm in Osaka, Japan. 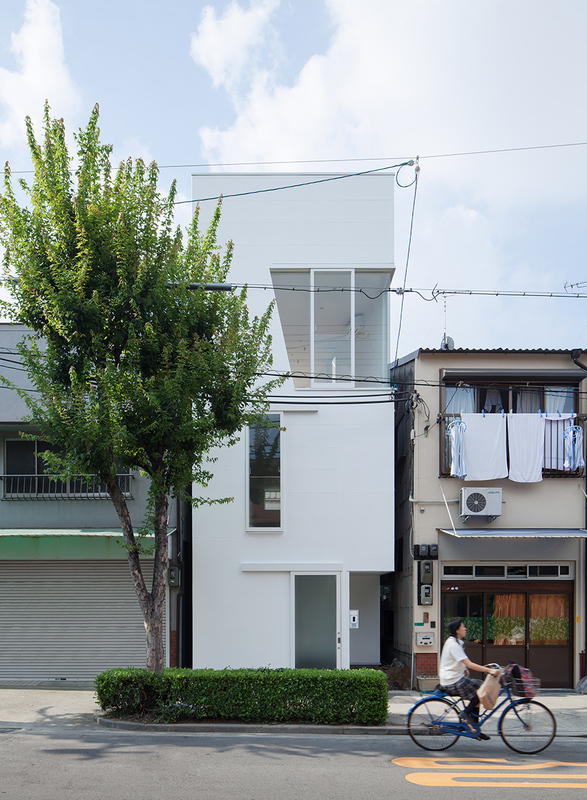 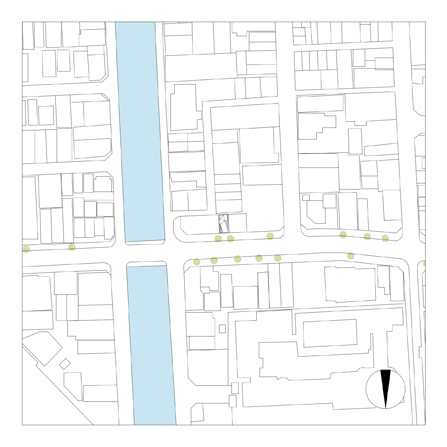 Around the site is the mixed-use area where small houses,small factories, and small office buildings coexist together without any harmony. 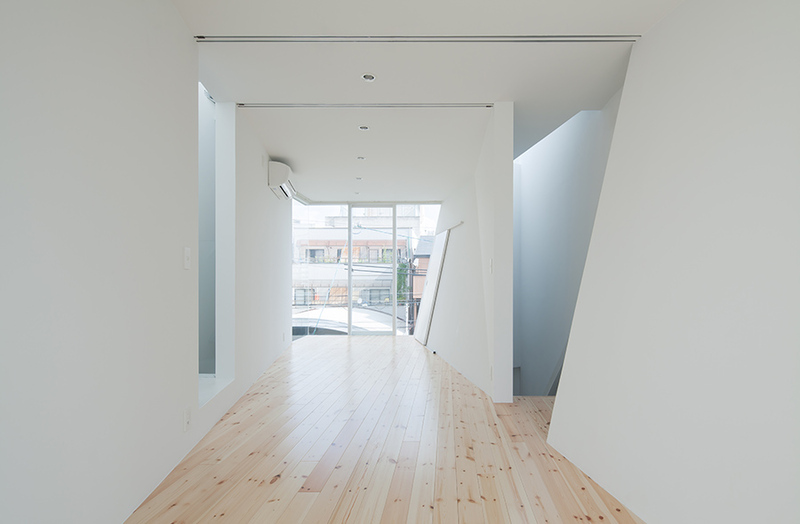 The client’s former house, which stood at this site, was a wooden two-story house. 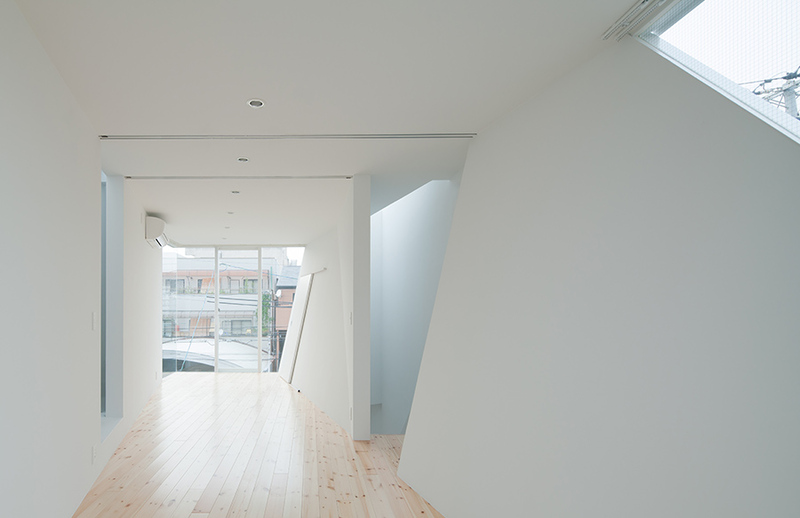 The adjacent sites were close and natural light didn’t enter into the old house. 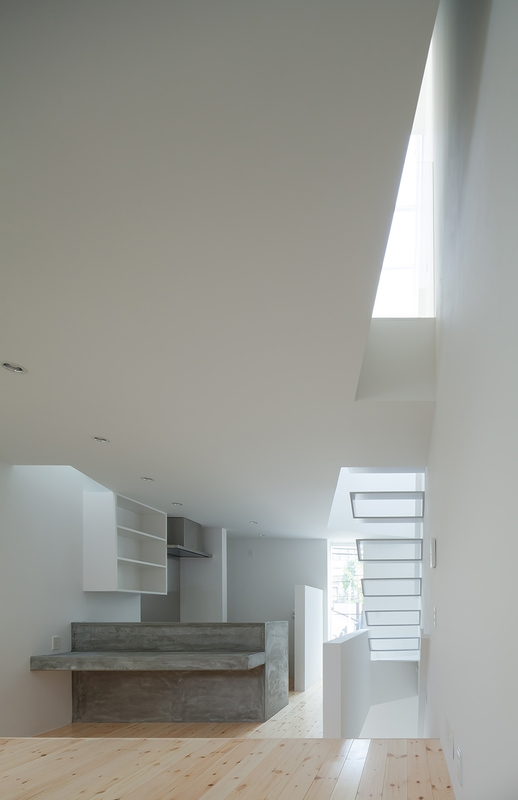 Therefore the client requested the family room (living area, dining area and kitchen) to be as large as possible without pillars or road-bearing walls,and that natural light that comes into the house, especially into the family room. 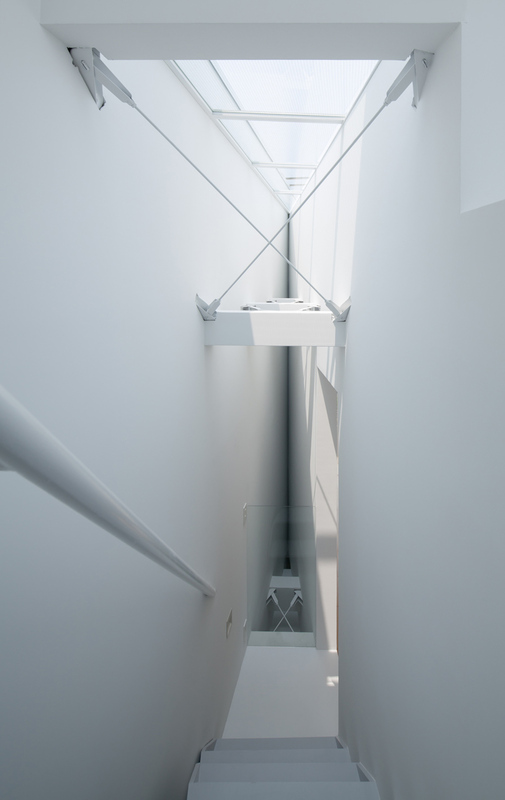 First, since the site was narrow, the volume of the building took up as much of the site as possible. 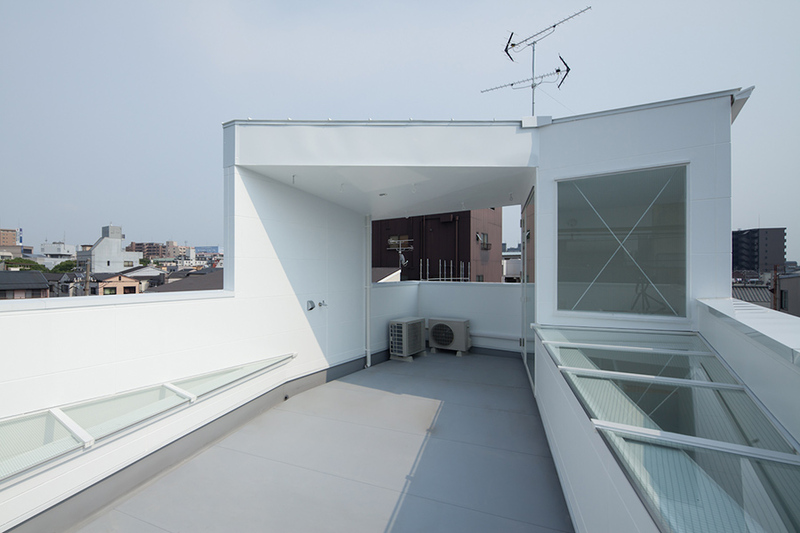 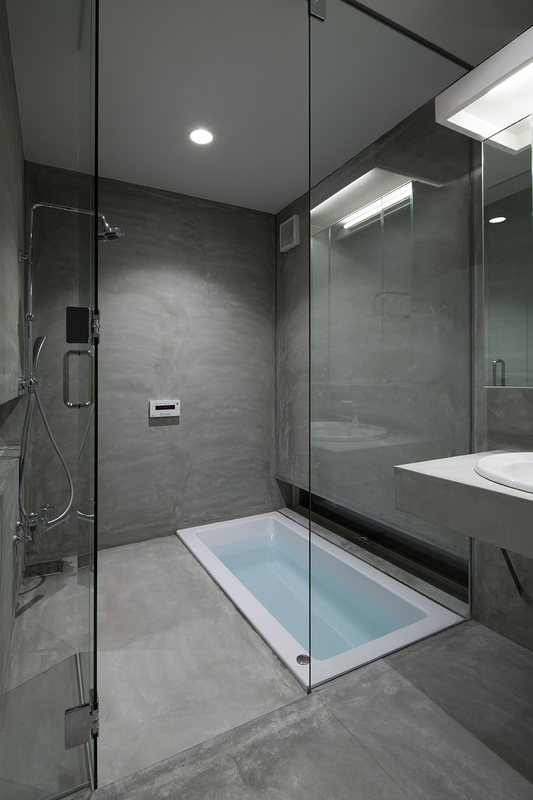 According to the lifestyle of the client, the bedroom of the couple and wet areas were placed in the ground floor,the family room was placed in the first floor, the rooms of children were placed in the second floor and the terrace was placed on the roof. 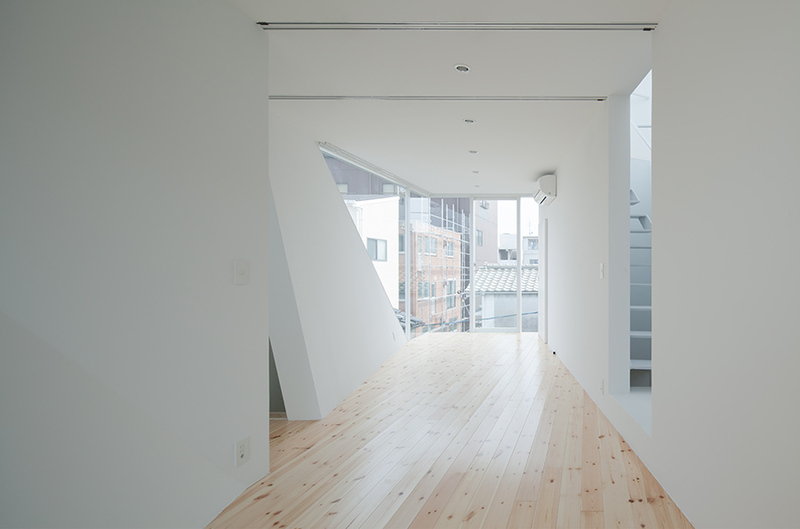 For a structural reason, the large openings were not able to open out on the road side of the first floor of the building. 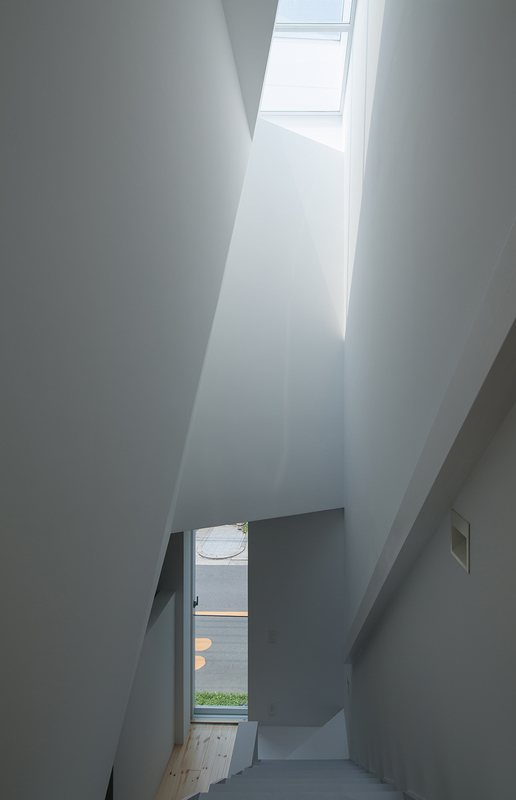 So, I rotated the volume of the second floor 14 degrees for the axis of the building, and interstitial spaces between the rotated wall and the outer wall of the building became voids. 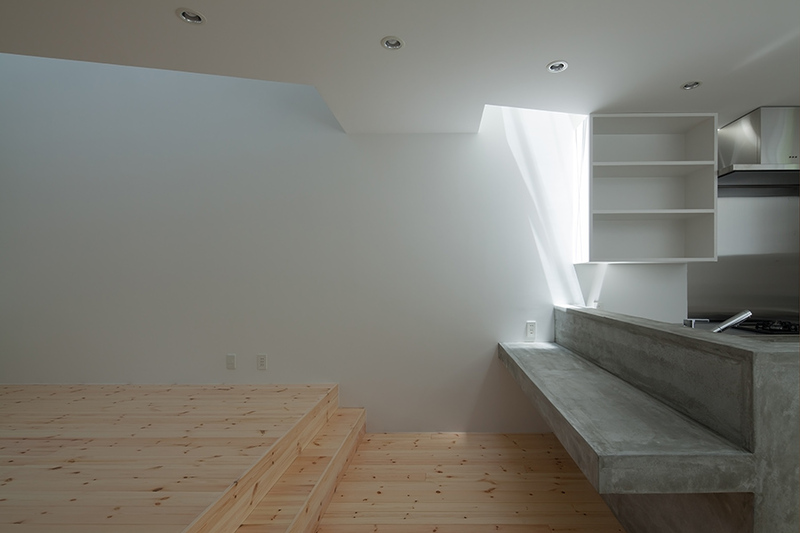 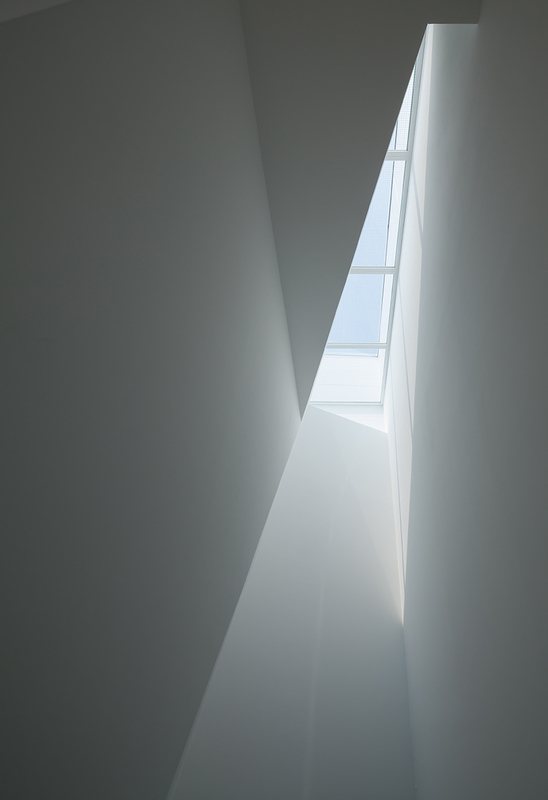 The skylight was set up in the upside of the void, and is intended to allow natural light to drop on the family room of the first floor. 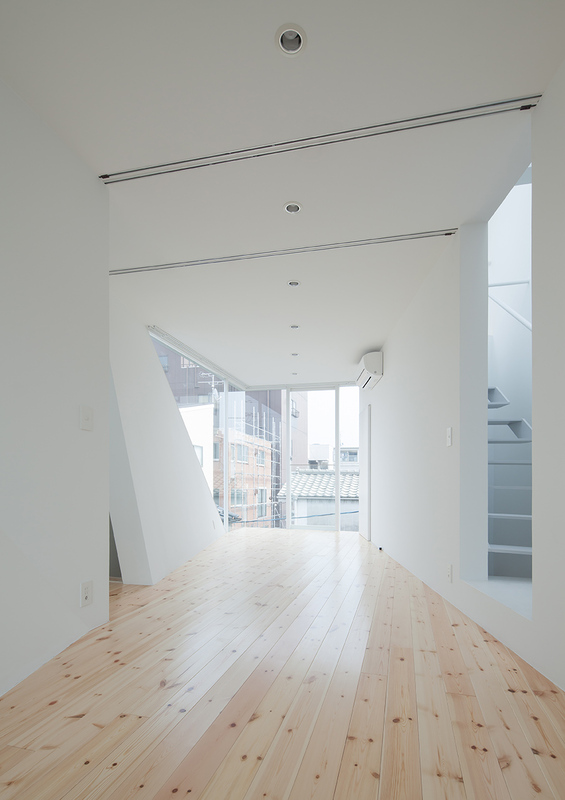 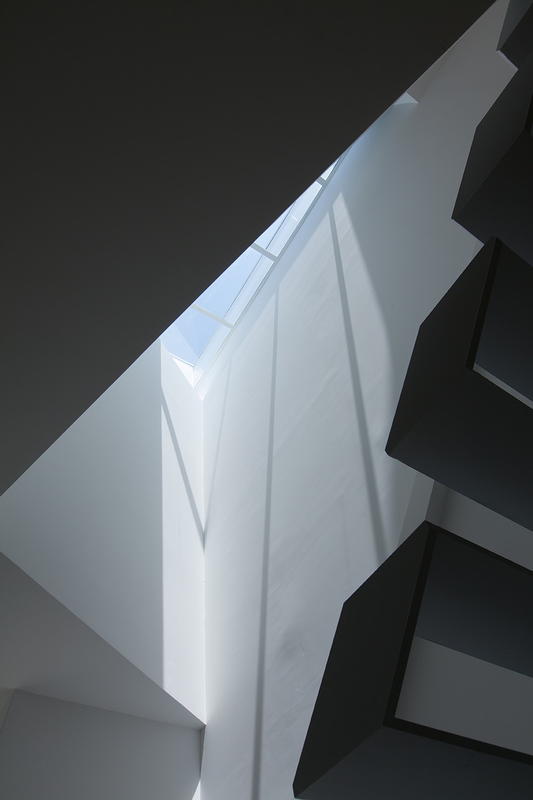 Moreover, one of two walls rotated 14 degrees on the plan of the second floor is also inclined to the verticality,and the part which overlaps with stairs is turned up, and has become like origami or a facet. 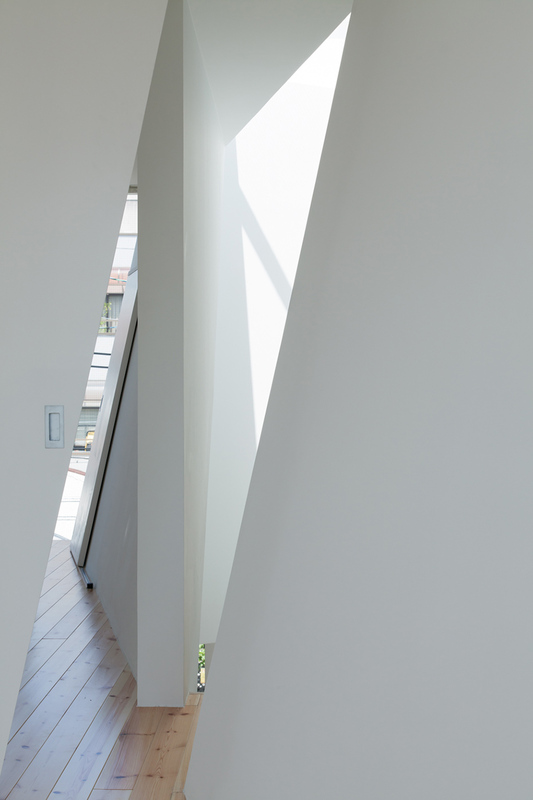 This inclined wall frees people’s feeling by deviation from the norm,simultaneously the sense of touch of the degree of inclination and the light to reflect of that inclination cause a new physical sense. 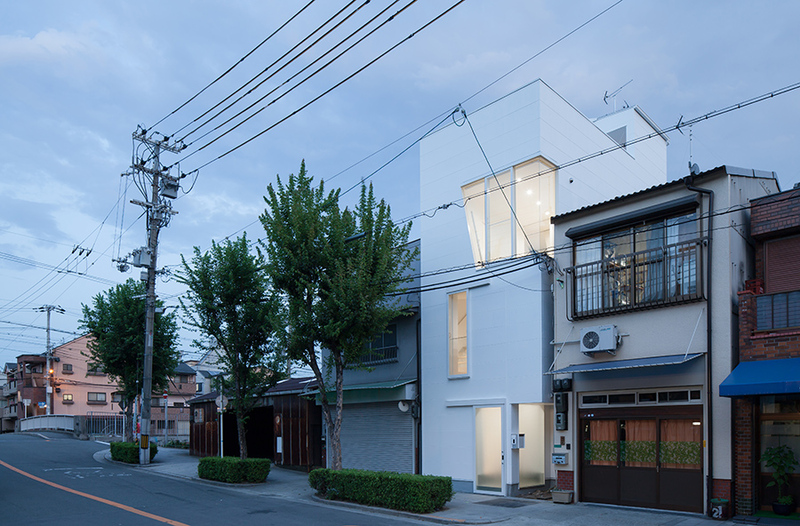 The building’s white box is completely different from the building of the neighborhood. 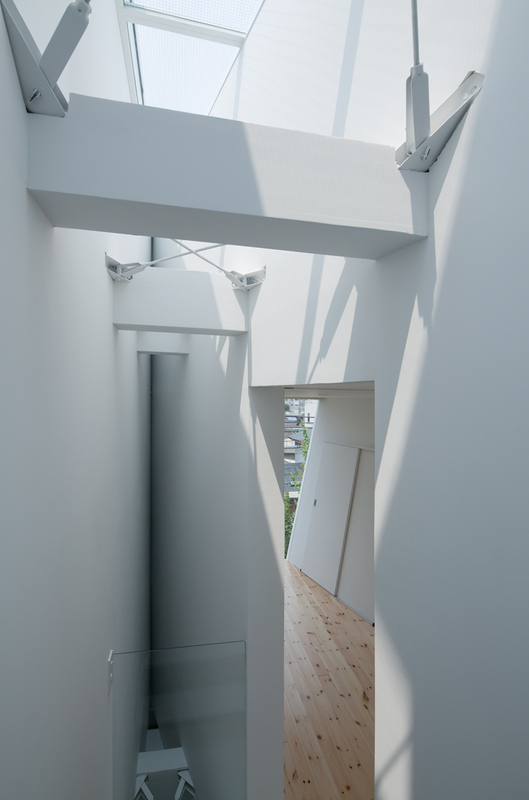 It is the appearance which the cylindrical volume of the second floor rotated 14 degrees penetrates into the building. 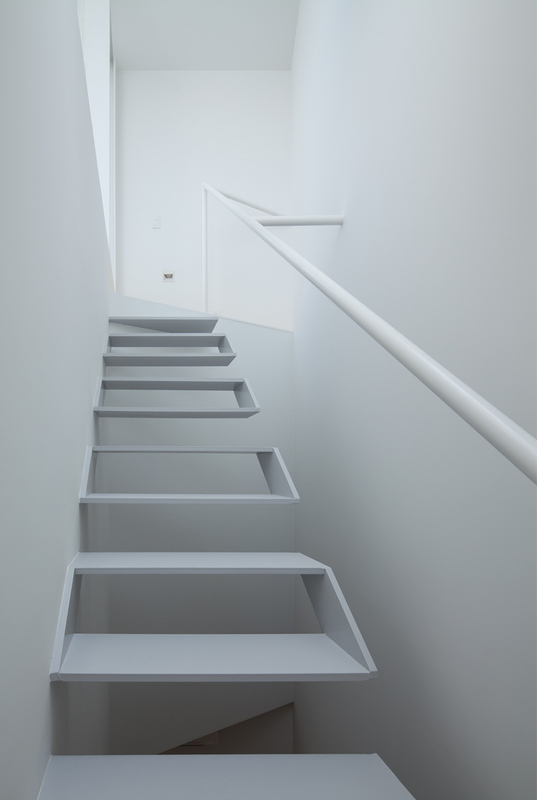 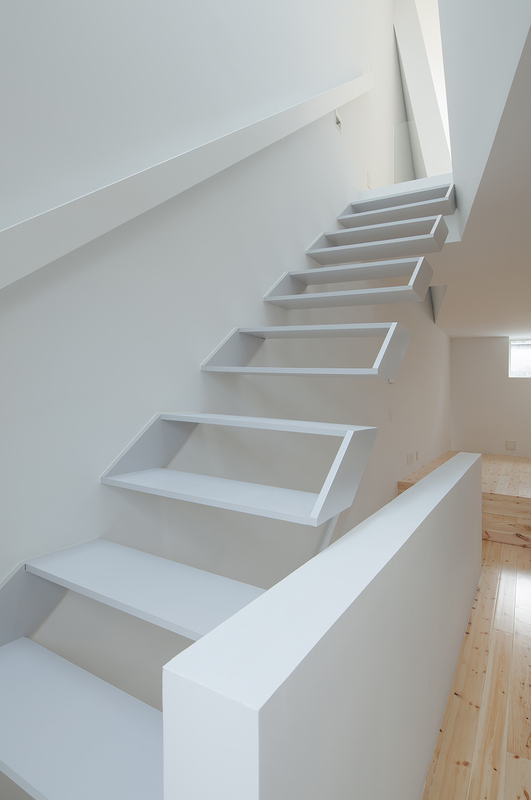 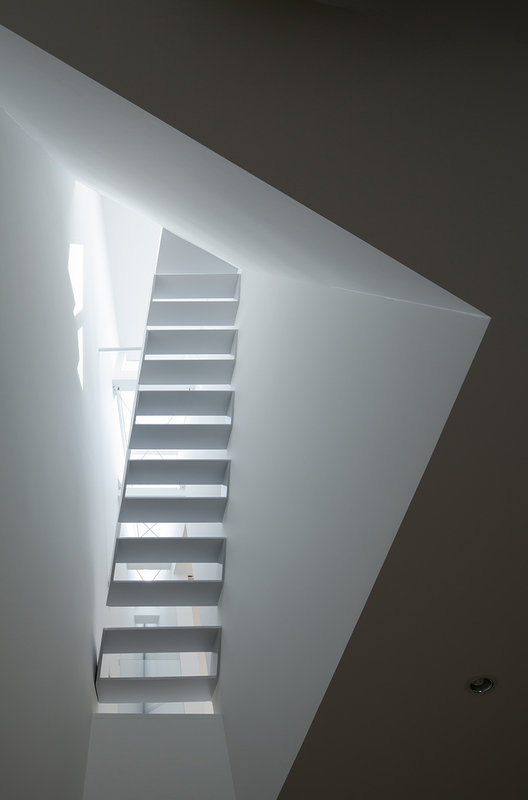 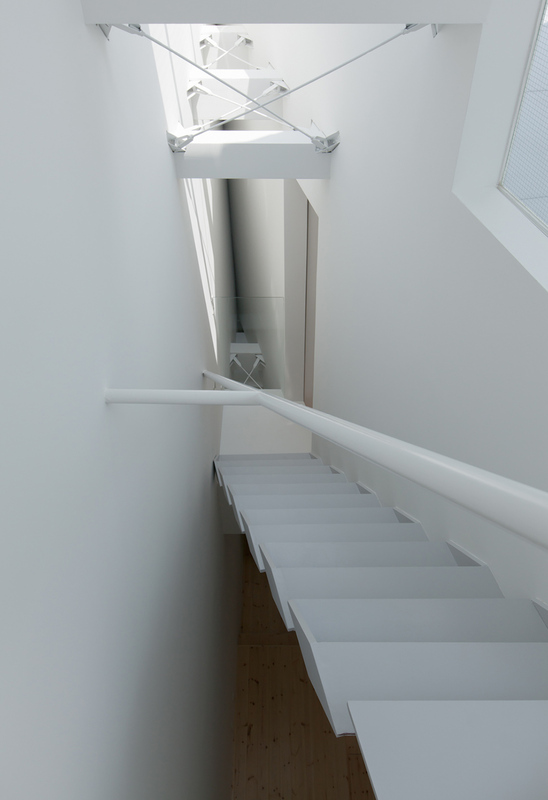 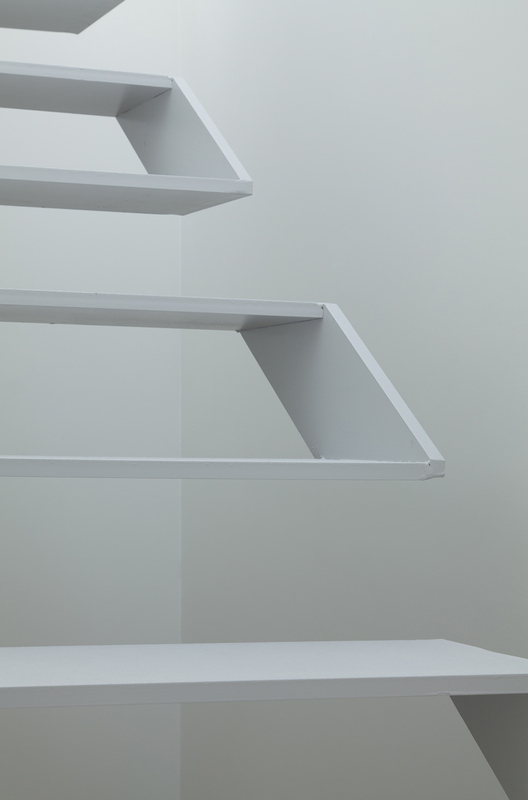 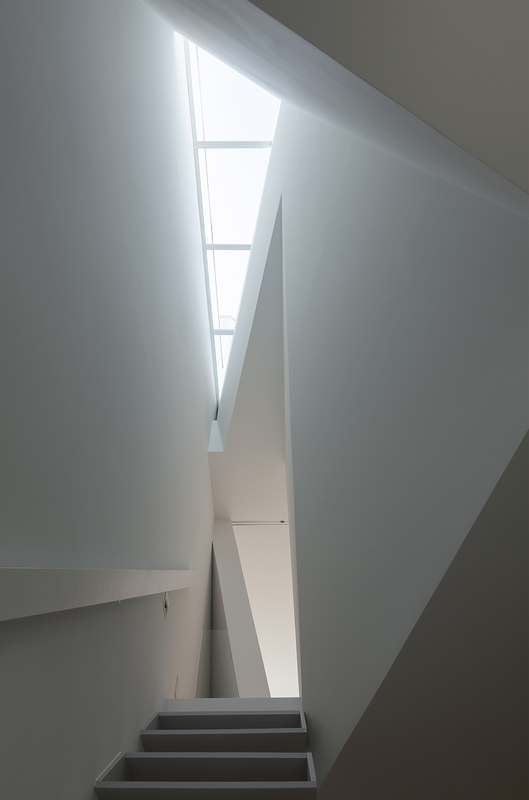 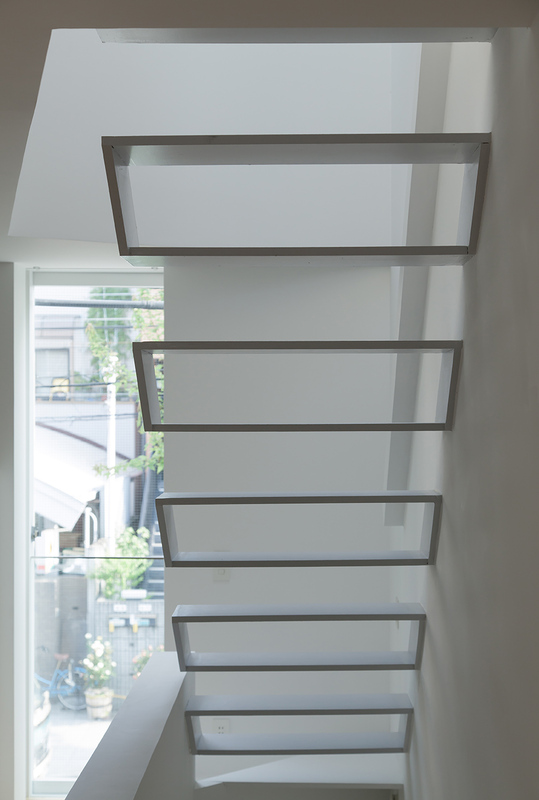 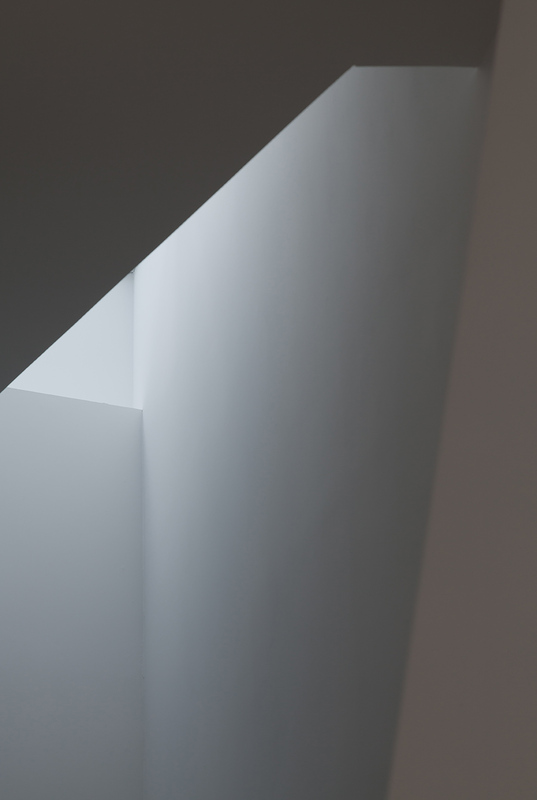 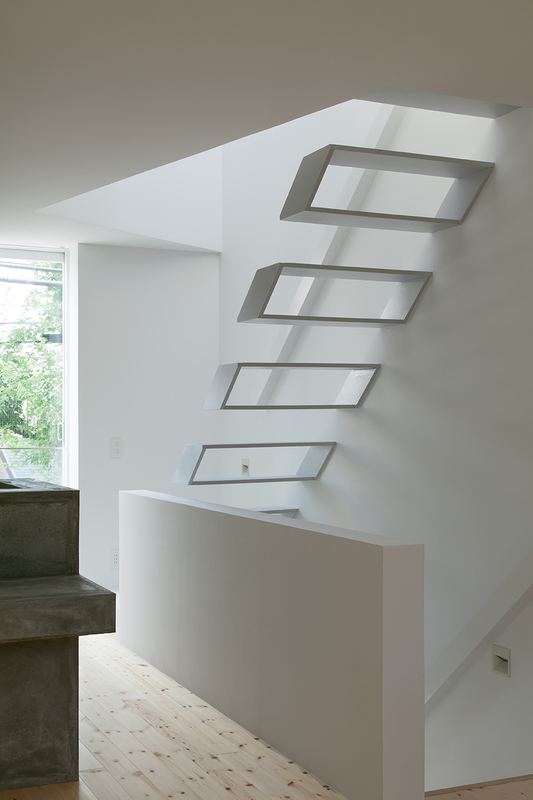 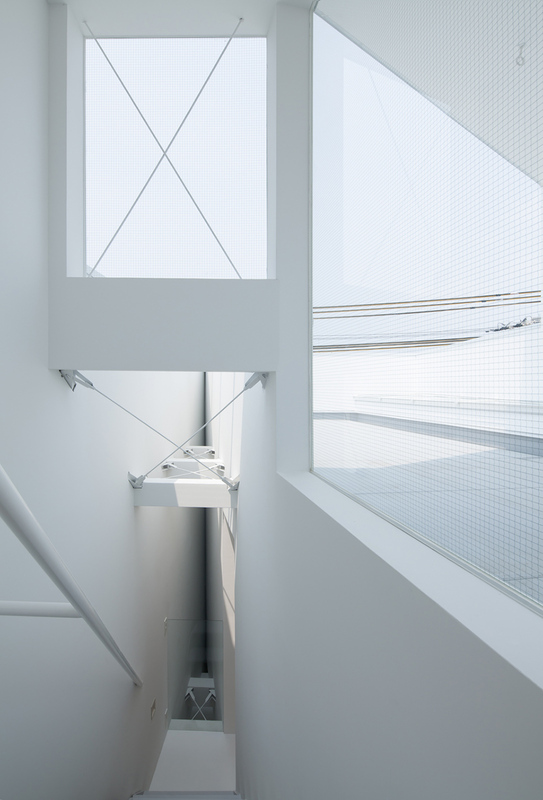 Box-shaped cantilevered stairs are floating in the void.